They play roles in childhood fairy-tale stories, they are there in every (almost every) shop we venture into, they are in cars, in dentists, in hospitals - they are everywhere and they all have a different purpose to serve - and usually a very useful one. I know over the years the mirrors that I've had have been used by myself every day...I mean have you seen me in a morning...I need my mirror to simply help me look human. But are they more than a necessity? Well yes actually they are and I've recently fallen into a mirror-wanting trap when it comes to decorating and fancy-ing up my home a bit. 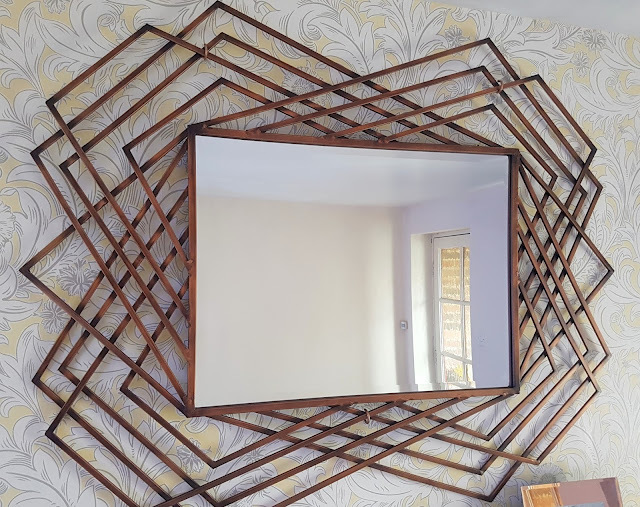 And I do see it as a bit of a trap because I've found that the more the mirror sways away from being "a necessity" to being pretty and decorative and elaborate, the more blooming expensive it will be. Which is the main reason that the mirrors I've had in my home before now have all been for convenience rather than decoration - it's all I've wanted really (apart from an amazing bluetooth - yes bluetooth - mirror I spotted over at Pebble Grey now that I really did want) but I've found that with my current little home upgrade projects, fancy-pants mirrors have totally taken over my life. 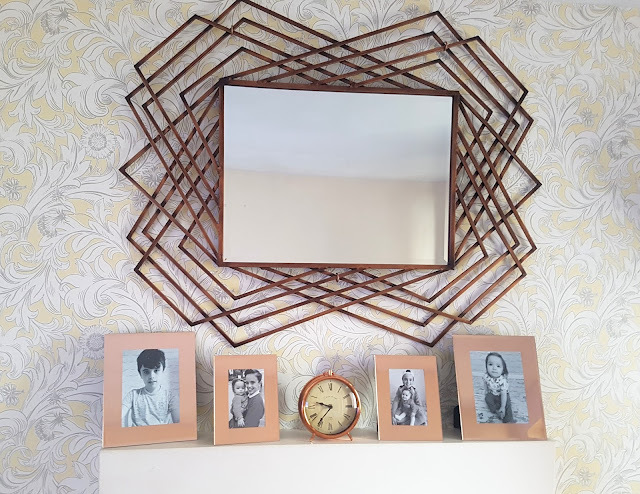 I did one simple internet search for "copper mirrors" and that was it, life consumed with all things reflective - I just couldn't get enough of them. 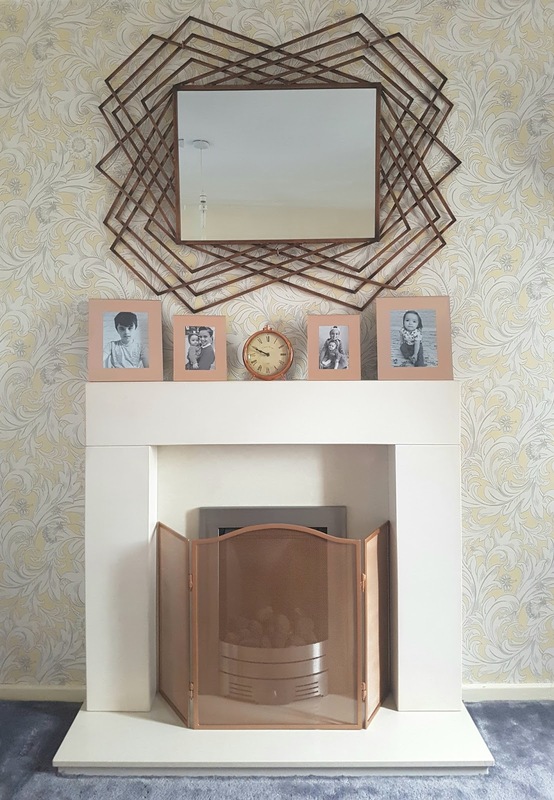 A huge, statement framed, copper coloured, room matching mirror which was very worthy of pride of place in my newly decorated living room. So yes, I now have an all new love/appreciation/obsession for beautiful, fancy-pants mirrors - they are no longer simply a way to check how ogre-like I look before I leave the house, they are now a thing of (expensive) interior-enhancing beauty. Wow, that is a stunner!